The SNAP is a great networking tool created by Berny Dohrman and Bob Proctor 25 years ago to empower people to connect with more people in less time. It’s basically a modified elevator speech, in that it’s short, precise, to the point, and powerful. 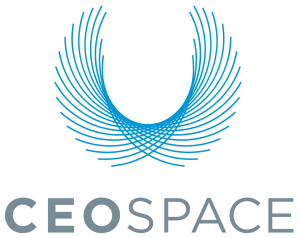 Within the highly refined and specific culture of CEO Space, it’s a way for other participants to know how to help you, refer you, or respond in some other way to filling the gaps in your process of developing your enterprise. Presenting the SNAP is also rehearsal. It’s an opportunity to rehearse a presentation over and over and test the response in real time. The desired response is for others to give you a “See Me” card with their contact information and a note on how they can help with your request. The system is good, although the skill of the participants is not always consistent. A SNAP is a presentation. Leaders are influencers. Presenting is influence. We influence others to respond to our call-to-action. We MUST define WHAT we want people to do with highly specific and compelling language. The basic flaw is that we recite a script rather than tell a story. 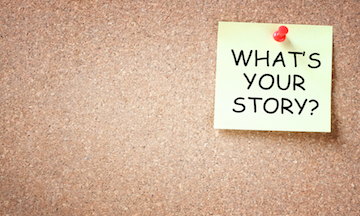 People respond to a story if they see themselves as involved in the story or its emotion. Storytelling is an art as well as a skill. The skill improves with rehearsal. The story improves with the artistry of presentation. Who We Want to Influence: Define your target market or you risk not having any market. El Mondo is everybody which equates to nobody. Pick your niche and pitch that niche. What We Want Them To Do: The weakest part of the SNAPs that I hear is the call-to-action. We MUST tell the listener what we want them to do. It’s that simple, however simple is complex to create. Have your coach help with this one. Why They Should Care: As Simon Sinek shares in his book, Start with Why, nobody will care about the what until they know why. This is a critical paradigm to master and, again, a complex one to create. Our Passion: Be in touch with your passion for what you are presenting. Keep the image of your passion in your spirit and it will be present in your story. Words don’t fully influence without injection of your passion. The Relationship: Communication is facilitated by relationship. Be aware that you have and are in relationship with the person to whom you are presenting. If you don’t care about them, then why should they care about you? If you aren’t getting the desired response, then look at yourself. Are you reciting an ineffective script or are you skillfully presenting by using the artistry of storytelling? By the way, the best stories are short.